At 3am I was up and couldn’t really move, so this happened. The basics are this: You will be in pain. You will need help. You will need naps. You will get bored. You will feel better every day. Coughing, sneezing, and laughing will bring discomfort. Hug a pillow tight/close to your for sneezes and coughs. If you had a laprosopic procedure, you’ll have residual gas in your body that will make you a little uncomfortable for a few days. I slept for about 3 hours when I first came home, and I only got up to use the bathroom walk, and take some meds. A word of caution on your first trip to the bathroom: If you had a catheter inserted your first trip will….sting a little. I’ll just leave it at that. It will pass after the second or third go. I was sore, I had cramps, and it was difficult to move. But, you need to move. Moving Around: I had to walk every hour or two around the apartment. This is something you will most likely be told to do regardless of the method or if you’re out patient or not. Walking helps prevent complications after your surgery. Walking helps to: 1) Clear and improve blood flow to your lungs and 2) Prevent blood clots. (More details on post surgical movement here) No ones asking you to walk a mile, but quick lap or two around your apartment or one level of your house will get the job done. It will be slow going at first, but after a day or two, you will start to move a bit better. The downside was people around me were eating awesome food that I just couldn’t partake in. My family had Pizza Hut (one of my favorite things! ), my mom cooked one night, and everyone sat around the table and had dinner while I laid in my bed drifting into a percocet induced sleep. I couldn’t stomach all that heavy food, but that doesn’t mean my inner fat girl wasn’t sad that she missed all the vittles. On a related note, you won’t want to eat anything too solid because…well, it has to come out. Again, your abs will be compromised, and any straining is not recommended. Colase or other stool softener will be your friend. Many pain meds (Percocet, Vicoden, etc.) can cause constipation when taken frequently, so softeners can be a great thing to help with your visits to the bathroom. Help: Because you’ll be in pain, and your abs will be shot, and you’ll be tired….you’ll need help. You just will. I needed help getting in and out of bed, walking, getting food, putting on lotion, doing my hair, pretty much everything. The first 3-4 days for me were when I needed the most. Because I had a hybrid procedure, and my incision was not clear across my bikini line, I think I was able to start to bounce back a little sooner. (One of the benefits of a laproscopic or hybrid procedure) My family was great, and made sure I was comfortable, made me get up to walk, brought me snacks, pretty much waited on me hand and foot. That probably won’t happen again, so I enjoyed it. Boredom: After a few days, boredom/cabin fever will set in. Going from bed to couch, to bed is not that entertaining. Books, movies, and company, even Facebook, Twitter, and Instagram are great, but you start to get stir crazy after a while. For me, the mere fact that I couldn’t really go anywhere made me fidgety. 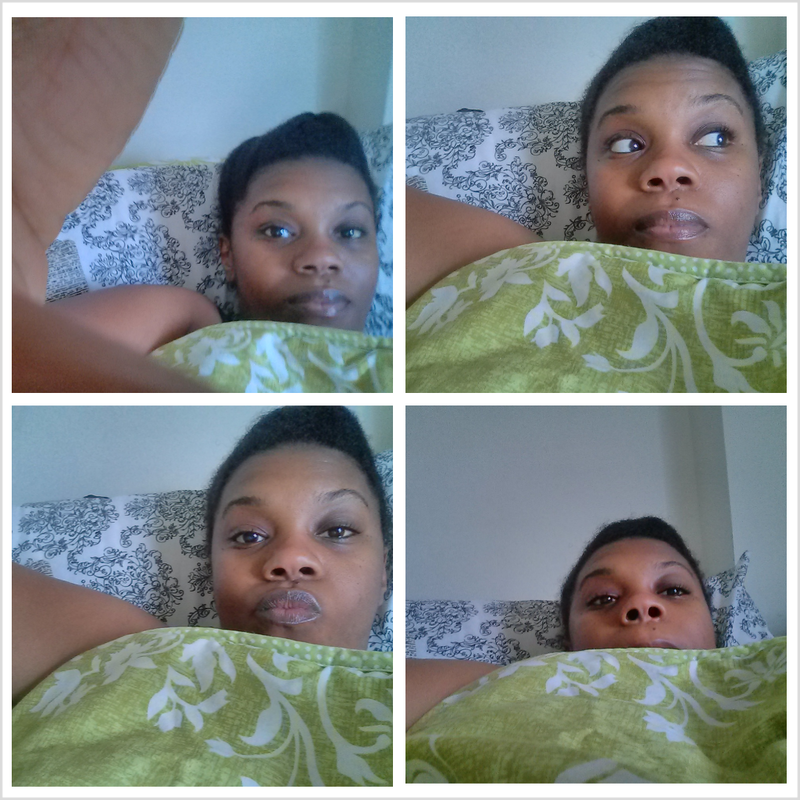 Again, selfies and social media filled a lot of my bed rest time. My recovery was pretty average I guess. I did have a high fever for 2 straight days around day 4, and went to the ER. I felt pretty miserable and sluggish. They gave me an IV and sent me to get a CT scan to make sure there was nothing going wrong. The contrast solution I had to drink (which I think they mixed with something to make it more palatable) wasn’t so bad. The machine itself was fine, I’m not claustrophobic or anything, but something about the actual scan process made me horribly nauseous! As the scan went on (probably lasted all of 1 minute), I got more and more sick. By the time I got to a point where I thought I was going to spew everywhere, it was over. Those 2 days were probably the worst of it. A few days later, I went for my follow up with Dr. M. Everything looked good. The good thing was I got to spend time with my friends and family that came to help and check on me, especially my mom. We got to talk and spend time together. I got her hooked on my favorite “rachet reality show“, which I won’t name, but the fact that it comes on VH1 and can be labeled rachtet should be enough. I got to watch a good family friend win a Tony award! 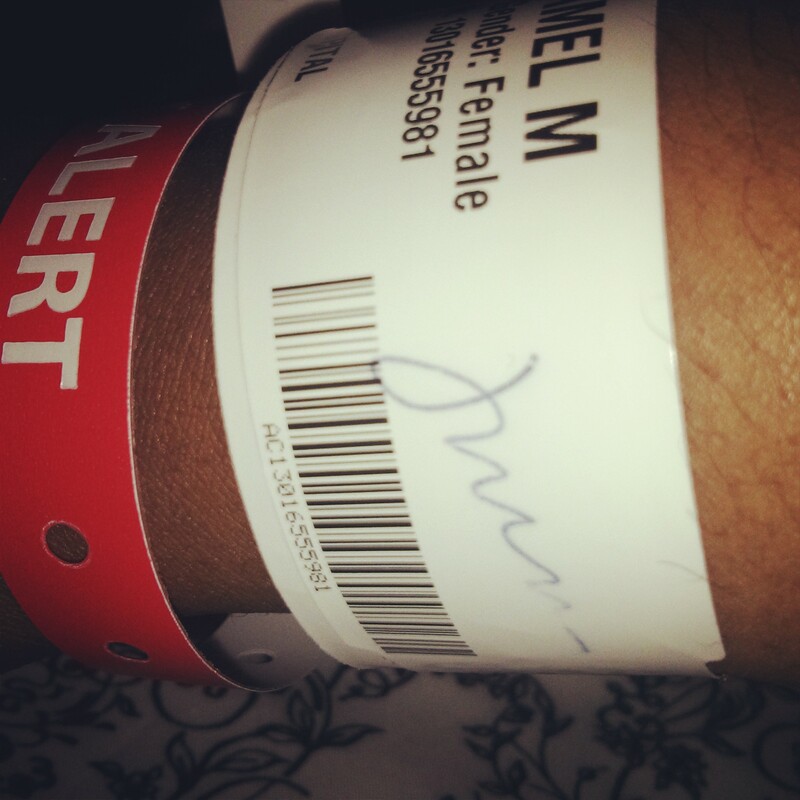 In that moment, I got so excited, I kinda forgot I had surgery 2 days before. I screamed and jumped up off the couch. Damn near busted my stitches. Literally. The fibroids are gone. Now what?